I want to design the best possible web site for you. How do I do this? There are three key stages. As part of the planning stage for your website, I will help you work out exactly what you want to achieve with your website. In the rush to get on the web, many businesses skip this stage and then end up with a web site that doesn’t live up to expectations. My method of consultancy will avoid this and deliver a web site that works for you. Once I know what you want, I will develop and create the web site that you love. After all, if you don’t love your own site, you can hardly expect visitors to either. I will create a website that helps you stand out from the competition and show-cases your business. We pride ourselves on sites that are easy on the eye and easy on the brain. How many times have you been looked at a website and been baffled where to find the information you were seeking? Or found that the designer’s idea of a readable font size is completely different to yours? I understand the web and the problems a badly designed site can make. Some big household names have website that leave a lot to be desired, but they can get away with it because they’re so big. You don’t have that luxury, so let me develop a website for you will inspire and excite your customers. Once your web site is running, I don’t just walk away from you and cash the cheque. Online tools let you see how many visitors are visiting your site, which pages are being viewed the most and even how long people are spending on your site. A website that is never changed or updated is a dead site. 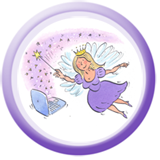 How often you need to make changes will depend on your business; my expertise in web sites combined with your expertise of the market your business is in means I can advise you how to keep your site fresh to help attract more customers. Take a look at my portfolio to see some examples or get in touch for a conversation about what I could do for you and your business website.